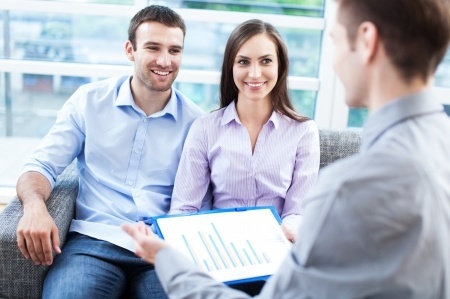 Does Your Real Estate Agent Have a Marketing Plan for Your Property? Will the realtor offer suggestions to help get your home ready to sell? Since you live in your home all the time, you won’t see it through the same eyes as a potential buyer. Your realtor can make suggestions about minor repairs that will help to increase your home’s value, as well as how you can stage your home for a showing or open house. How does the realtor help you determine an appropriate asking price for your property? Setting a price for your home is a very important part of the home selling process. You don’t want to price your home too high, since it will discourage buyers. If you price your home too low, you will be leaving money on the table. Ask your realtor to show you selling prices for comparable homes in your area so that you can determine a fair price. Does your real estate agent use professional photography as part of his or her marketing plan? Buyers want to see what a home looks like before they commit to visiting the property in person. Professional quality photos will generate interest and help to present your home in its best possible light. Ideally the photos are taken before the listing being published so that potential buyers can see exterior and interior shots right away, and the images are featured online and in printed marketing materials. Will your home be advertised online? With so many potential home buyers looking online before they ever approach an agent, you need to work with an agent who will get your property on the Internet so that it has maximum exposure. Along with the public MLS, ask about other websites your realtor uses to promote his or her listings. Does your realtor hold agent open houses to promote his or her listings? Allowing realtors to preview homes for their clients is a good way to find a potential buyer for your property. You can also get valuable feedback about the price point, decor, etc. If you would like to work with professional realtors who have an effective marketing plan to sell your home, contact the Wans. This entry was posted in Real Estate Tips and tagged real estate, Real Estate Agent, Real Estate Marketing, Real Estate Marketing Plan, Real Estate Marketing Tips, Realtor. Bookmark the permalink.